A few years ago, Ikea announced it had designed a better refugee shelter, using its flatpack furniture as a basis for engineering. As great an idea as it was, it wasn't clear how the concept would ever find its way to reality. 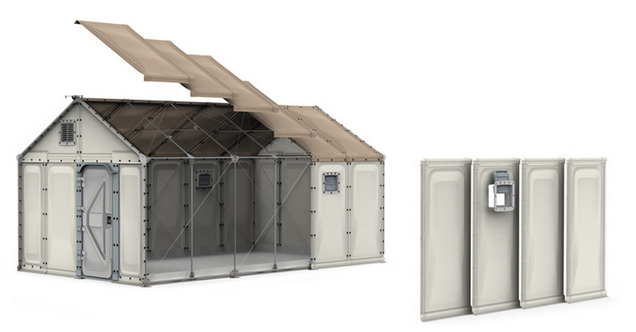 Now, these Ikea refugee shelters will be deployed — by the thousands. The Ikea Foundation is the mega-corporation's wing devoted to social issues in the developing world. Working with UN, the Foundation spent years prototyping shelters that could replace the fragile tents that are used by the UN to house refugees right now, which are beholden to the cold (or hot), and provide little protection from storms, not to mention privacy. It was a worthy cause, but more was at stake than design: cost, logistics, politics, and the way aid organisations supply their workers on the ground make the issue of refugee housing incredibly complex. 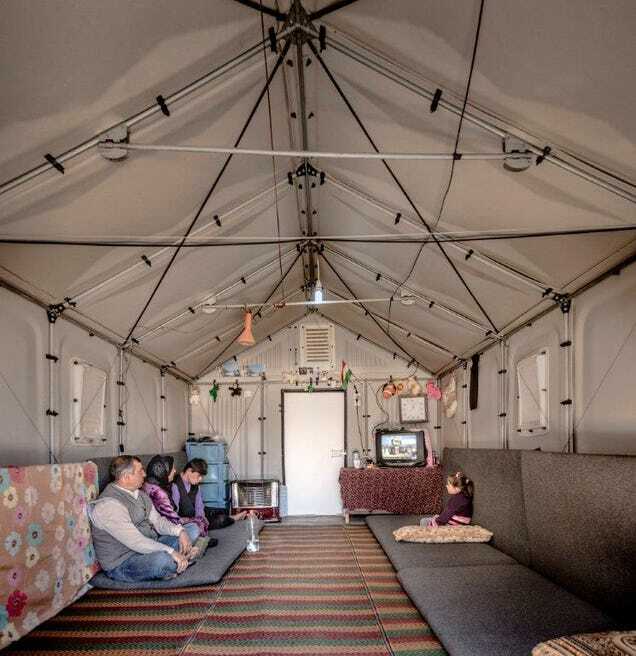 Interior of a Better Shelter prototype in Kawergosk Refugee Camp, Erbil, Iraq. Photo: © Better Shelter. Still, out of that collaboration came a modular home called Better Shelter and the Housing for All Foundation, a stand-alone organisation that's further developing the design and manufacturing it for sale. At the Dubai International Humanitarian Aid & Development Conference & Exhibition this week, the group announced its first order: the UN's High Commissioner for Refugees has placed an order for 10,000 units of Better Shelter, which it will use to house refugees around the world. The units were tested by displaced families in Iraq and Ethiopia, and according to Irin News, the first of the UN's 10,000 units will be sent to house some of the 2.5 million people in Iraq who have been displaced over the past year. Better Shelter is a piece of extreme engineering. It's not so much a shelter as a precisely designed package. It arrives in two cardboard boxes, not unlike your bookshelf or bed, with all the tools needed to assemble it. Each box can be lifted by four people, and assembled by the same team in no more than eight hours. The group says that the package even contains an image-based user manual. Inside, there are details that make these shelters actually liveable for long periods of time: a door that actually locks; windows and ventilation, unlike most cargo container shelters; a photovoltaic system to supply electricity; the frame itself fits together modularly, much like the company's own furniture. They're also built to last as long as three years, which is another major step forward, since refugee housing tends to wear out before the displaced have permanent housing. 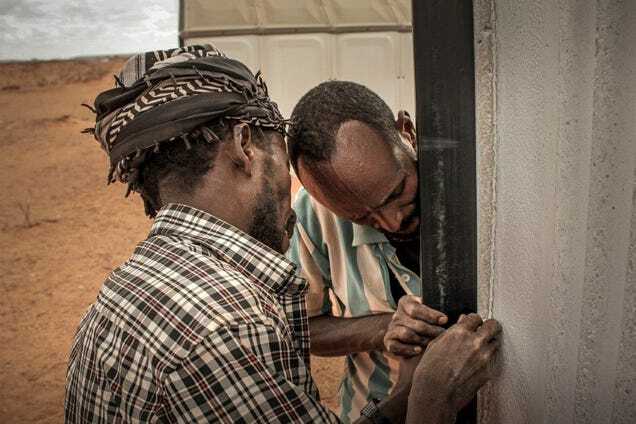 Top: Assembly of Better Shelter prototype, Hilawyen Refugee camp, Dollo Ado, Ethiopia, July 2013. Photo: © R. Cox. 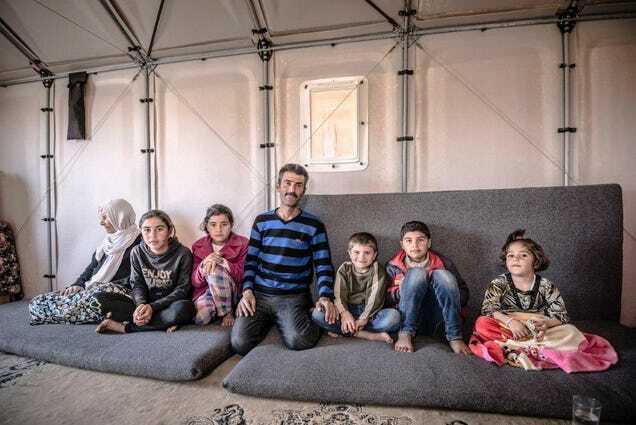 Bottom: Riyad with sons, daughters and mother in law inside a Better Shelter prototype, Kawergosk refugee camp, Iraq, March 2015. From the word-free instruction drawings to the packaging, there are plenty of Ikea features that found their way into the design. And why not? Regardless of how you feel about the company, Ikea has more experience with the logistics, engineering, and packaging of objects, objects that must be assembled by humans that speak many languages, than any other group in the world. It also knows something about design that's universally welcoming, no matter the country or culture it's dropped into.